If all of these liberal whine-bags believed Hillary Clinton was innocent, as they’ve said she is, why is it that they are demanding that Obama pardon her? I don’t think these oxygen thieves even know what they’re saying. In case you missed it, the person has to be convicted of a crime before they can be pardoned. Hillary, as of yet, has not been convicted of a crime. 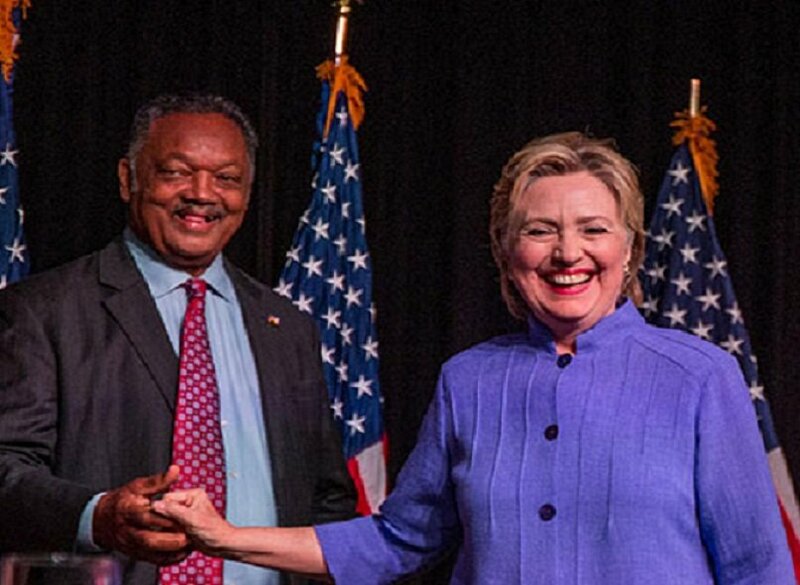 The fact that these liberals like Geraldo Rivera and Jesse Jackson are calling for a pardon means that they actually believe that she’s guilty. You don’t pardon an innocent person! They’re worried that Trump might try to jail Hillary, which could only legally happen if she were found guilty of some crime. If she’s guilty, she should absolutely serve jail time, as should anyone found guilty of a crime. These are the same liberals who say our justice system is broken, but are calling for a woman to be pardoned simply because of her political stature. If anything, it’s broken because political corruption runs too deep! But of course, these people treat common sense as though it’s a terminal illness and then end up saying things like THIS. “It would be a monumental moral mistake to pursue the indictment of Hillary Clinton,” Jackson said. Jackson added that it would be an important step in healing the divided nation. “President Ford said we don’t need him for trophy. We need to move on. President Nixon wasn’t convicted of a crime. He didn’t apply for a pardon. (Ford) did it because he thought it would be best for the country,” Jackson argued. “Hillary Clinton has not been tried, but there are those who want to drag her for the next three years. It will not stop until they find a reason to put her in jail. That would be a travesty,” Jackson concluded. The concept of law and order is completely lost on these idiots.